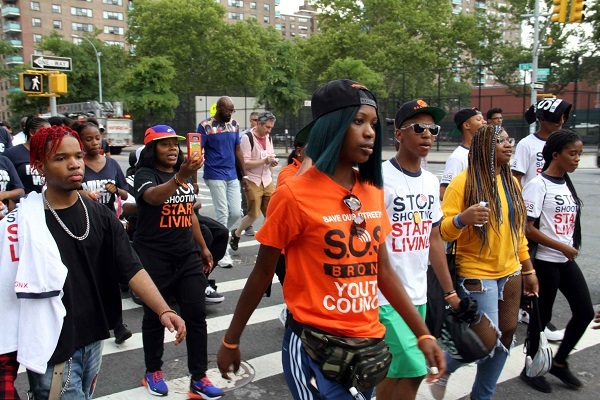 A handful of Parkland, Florida student-survivors spent a day meeting with local elected officials and joined Bronx anti-violence demonstrators as they marched through the NYCHA’s Forest Houses complex– the event was part of the Parkland High School survivors 25 state, 80 city tour of the “March for Our Lives, Road to Change,” national tour that kicked off in Chicago in June. 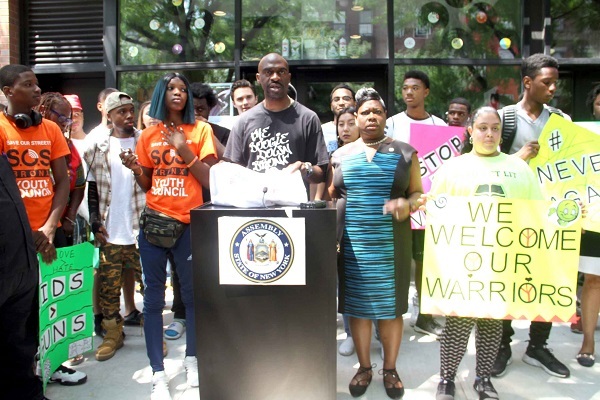 The dozen or so teens were greeted by local officials Assemblyman Michael Blake, Bronx District Attorney Darcel Clark and Rebecca Fisher, Executive director of New Yorker’s Against Gun Violence outside of the Beatstro Restaurant on Alexander Avenue on Friday, August 10. 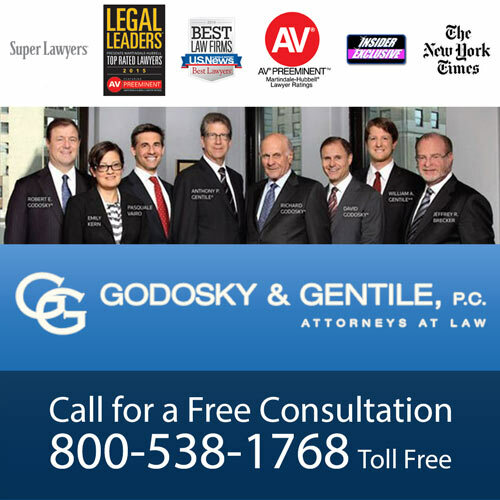 The students began their crusade to end gun violence after their school, the Marjory Stoneman Douglas High School in Parkland, Florida, suffered an “active shooter” incident, where the gunman killed 17 students and teachers and wounded 17 others back on February 14. 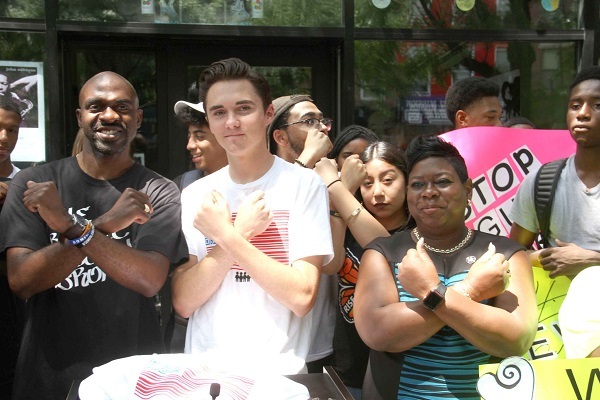 Students enjoyed a lunch of chicken, potatoes and vegetables inside Beatstro, where they met with Assemblyman Michael Benadetto, Rebecca Fisher, the executive director of New Yorker’s Against Gun Violence and other gun control activists. 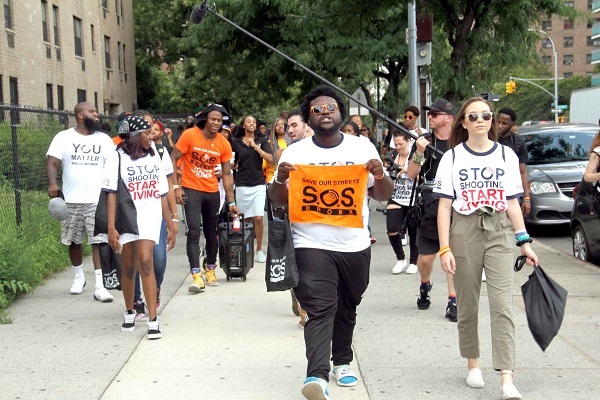 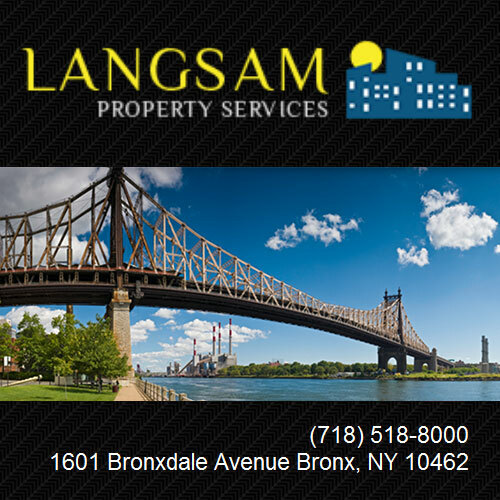 The group would then go to the East 163 Street headquarters of Save Our Street’s an anti-violence organization that is surrounded by the Eagle, Forest and McKinley Houses. 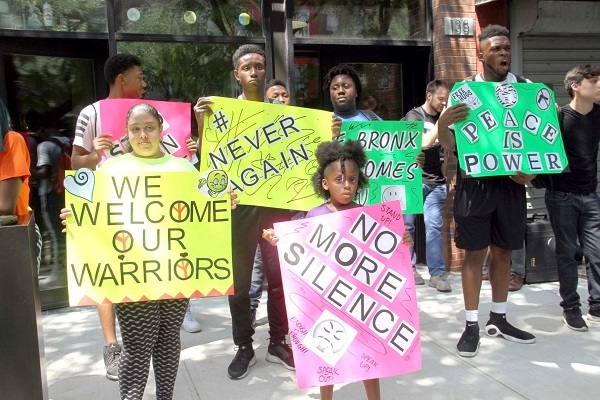 Morrisania resident Emmanuel Gil, 15, watched the group of a few dozen marches pass as they headed west on East 163 Street as he headed to play basketball at the nearby Dunbar Playground. 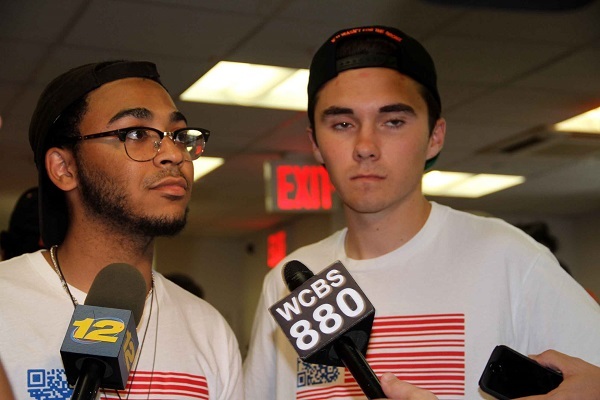 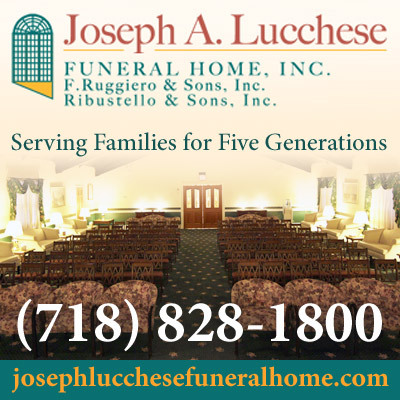 During their New York City visit members also had a private meeting with Mayor Bill de Blasio and participated in a town hall at the New York Society for Ethical Culture and ended their nationwide tour on Sunday, August 12 in Newtown, Connecticut, where 26 students and teachers were murdered in 2012 at the Sandy Hook Elementary School.